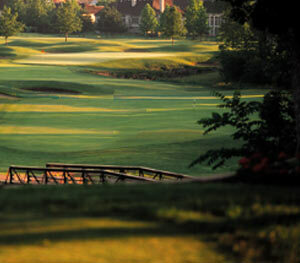 Designed by Robert Trent Jones, Jr., Deer Creek Golf Club is a natural choice in the heart of Johnson County. Whether wandering through dense trees or crossing over a winding creek, beautiful views make this course a wonderful experience. There is nothing usual about this course, as it will provide the perfect outing for golfers at any skill-level.